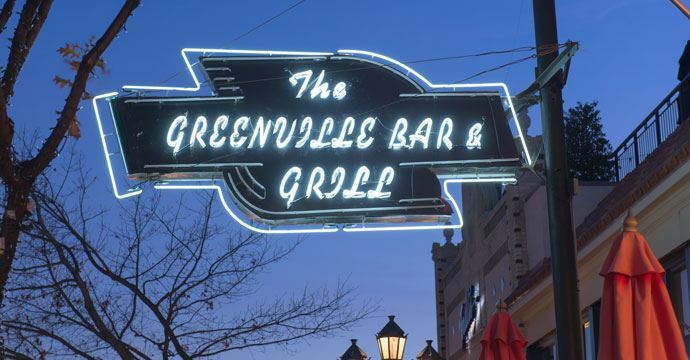 What happened to the vintage neon Greenville Bar & Grill sign? We all know that great cities are known for their great parks. The 2017 Capital Bond Program is currently underway and the City of Dallas has created a citizens bond task force to make recommendations of bond allocations for a November 2017 bond package. The reason I am writing you is that I am extremely concerned with the lack of funding for our parks and trails. There is currently only 15% of a $800 million bond package allocated for parks. This comes out to $120 million to fill a needs inventory of roughly $2.3 billion. This would be the smallest allocation for parks we have seen going back over 20 years. I am asking you to support an additional $153 million be added to the 2017 Bond Program exclusively for parks so that we can take advantage of $303 million in match funding opportunities for our city. By increasing the bond package to $953 million we would open up $303 million of non-city money. 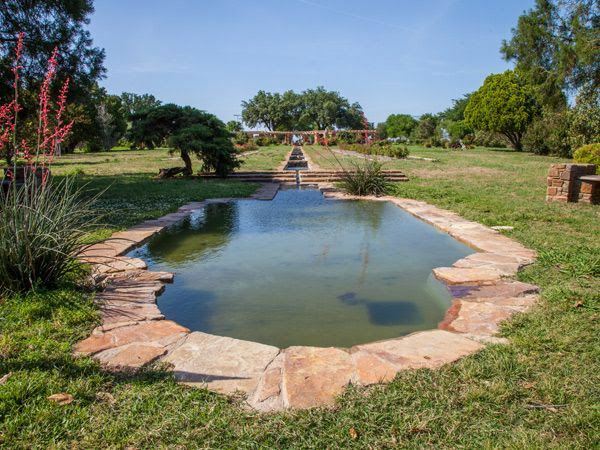 The Dallas Park and Recreation Department has not had a bond program in 11 years. Dallas currently ranks last on a list of 20 major cities on capital spending per resident for parks. I understand that a bulk of our upcoming bond money must go to streets but we cannot abandon the projects that both increase our tax base and improve the quality of life for our citizens. An investment in our parks will be the catalyst to increased bond capacity for the city to conduct future bond programs. Parks provide an economic impact to our city at a rate of 1 to 7 return on investment and trails provide an economic impact to our city at a rate of 1 to 50 return on investment. The Park Bond Proposition needs to be adequate to provide funding for neighborhood park improvements, the aquatics master plan implementation, improvements to recreation centers, land acquisition and to provide $153 million in bond funds that would be leveraged with $303 million in match funding from partnership organizations and other governmental agencies. I have attached two files. The first is a list of the 2017 Bond Task Force members and the second is a list of our current match funding opportunities. I would ask that you reach out to these individuals to let them know you support increasing the bond package to $953 million with the additional $153 million in bond funds to exclusively fund the match funding opportunities in parks. Doing this will allow us to leverage the most dollars and it will free up the original allocation to make sure we take care of our neighborhood parks throughout Dallas. Click here, if you wish you make your feelings known to your representatives at city hall. There was an update on the neighborhood’s attempt to change our zip code (and thereby our official post office) from 75223 to 75214. It was reported that the process is actually fairly simple and straight-forward, and the committee pursuing this is continuing its efforts, with the board’s full support. On the agenda was to be a presentation regarding a proposed Educational Committee. It is being requested that the board form such a committee with interested neighbors to track what’s going on in area schools and on the school board. As the presenter was unable to attend, this discussion was postponed. We received reports on the 2017 Home Tour as well as Art in the Park. Home Tour attendance suffered somewhat due to the expected but unrealized storms in the area on Saturday. Certain board members have some historical knowledge about prior Home Tour attendance but this is not recorded anywhere. It was agreed that this information needs to be documented somewhere so we are able to discern if there are trends that need to be addressed. Attendance varies anywhere from around 600 people during the weekend to 1,500 people, depending on the weather, publicity and other factors. This year’s Home Tour brought out about 600 throughout the weekend. It was reported that the Auction Party proceeds were particularly successful, and Art in the Park was also deemed a success. As the board had only 16 members approved during January’s quarterly meeting, a spot was open for a 17 th member. Emily Fenlaw was voted on and approved by the board to fill the last remaining spot on the 2017 HSMNA Board. The board is also reviewing the bylaws and comparing our bylaws with those of other neighborhoods to determine if any updating or improving is needed. We had a long discussion about the board’s role in noting, reporting and “enforcing” possible violations of the association’s Conservation District rules. 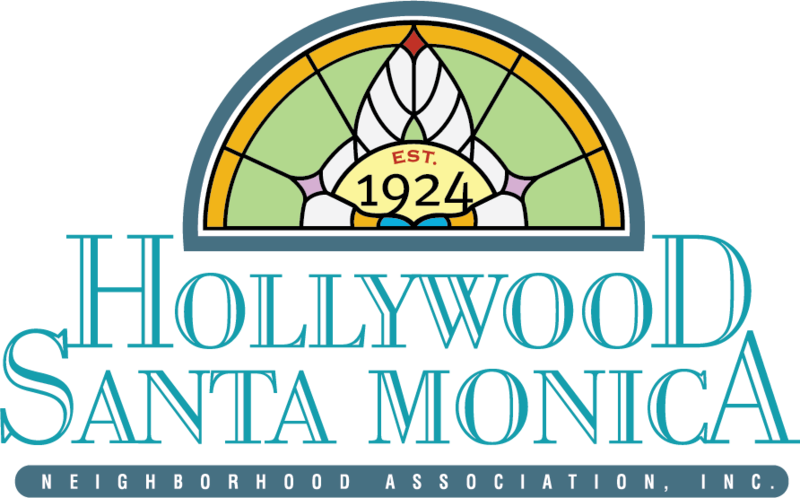 It was reiterated that the city is responsible for enforcing what are essentially city-approved rules regarding Hollywood-Santa Monica’s Conservation District. The board has no role whatsoever. Individuals, whether on the board or not, are free to report suspected violations to 311 or the city department itself. However, board members should not assume that role or represent to anyone that they are representing the board if they do report such violations. A motion was made to that effect, which was approved. We have about 150 T-shirts left, about 100 women’s and about 50 men’s. It was agreed that we post these for sale on our website at a cost of $15 each. Membership remains steady at 422 HSMNA individual members, representing 255 households. The last year the association had membership close to this high was in 2014, when we reached 414 members but only by November of that year. Last year at this time, we had only 291 individual members. Discussion on the newsletter, whether to change to color, reduce the number of pages or convert to digital, was postponed due to the hour. The newsletter issue will be discussed at the board meeting in June. Block captains delivered six welcome baskets in May. So far in 2017, block captains have delivered 26 welcome baskets. Three are pending completion of renovations following a home sale. Thanks for the various feedback from last month’s newsletter. I will always welcome questions and input from the Block Captains. 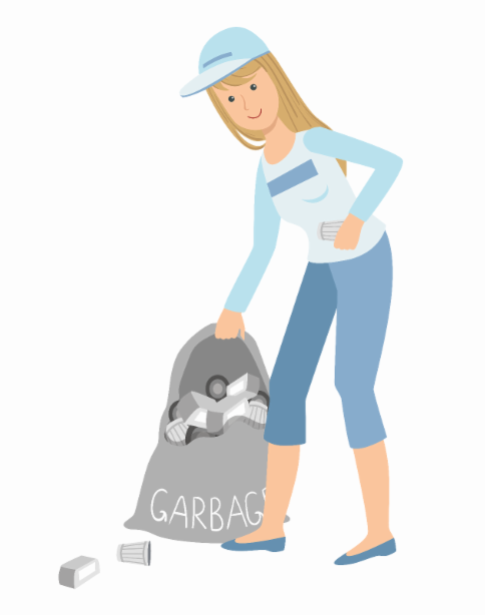 Please let me know how you feel about the newsletter, about being a block captain, about improving neighborhood communication, about what’s happening on your street and about any other issue. Next quarterly meeting is at 6:30 p.m. July 18 at Times Ten Cellars. Let the lobbying begin. With $800 million in city capital bond dollars coming up for grabs, a healthy portion of which will be earmarked for road repairs, it’s no surprise that neighborhoods are looking to secure their piece of the pie. As was the case this week, when a petition from Old East Dallas neighbor Nathaniel Barrett popped up on Change.org seeking to ensure the Abrams/Columbia throughway gets the “Complete Street” treatment. He’s not wrong, the six-lane stretch can feel more like a highway than a residential road, especially during commute hours. Abrams drops down to four lanes through Lakewood at Gaston, and Barrett would like to see that design expanded through Old East Dallas. The “Complete Streets Design” suggests a four-lane road with room for parking, sidewalks and bike lanes. 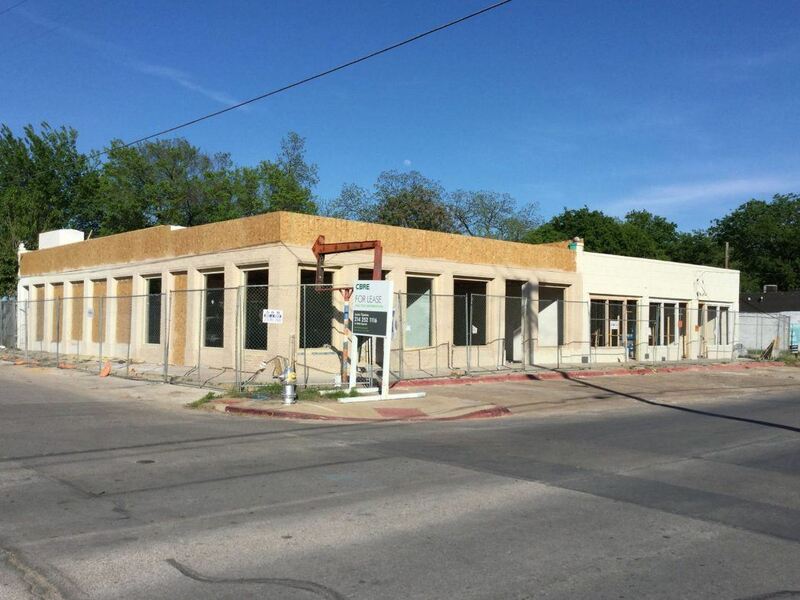 Barrett’s petition asks Councilmembers Mark Clayton, Philip Kingston and Adam Medrano to prioritize the the area when spending their district’s allocated bond funds. That’s assuming voters approve the bond, of course. 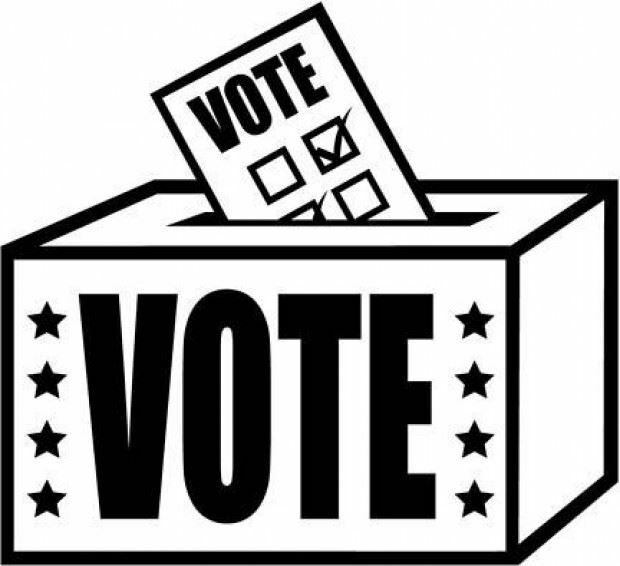 The city council voted to delay putting the measure in front of voters until Nov. 7, when some thought it had a better shot at passing (a decision Advocate columnist and former councilmember Angela Hunt questions). With the mass number of streets that need attention in our neighborhood, we’re guessing this won’t be the last petition for bond funds. 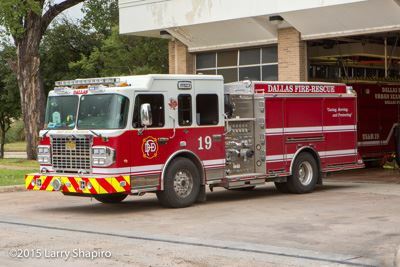 Since I'm a retired firefighter living in HSM...neighbors have been asking what can they do for the injured paramedic and the guys at the station on East Grand(19's). is holding a fundraiser on Saturday 05-13-17 from 10:00 a.m.- 3:00 p.m. Proceeds will benefit the An family. Get your car washed by off-duty firefighters or stop by and make a donation . The best gift for the guys at the station would be a large turnout and raising lots of $$ for the An family! 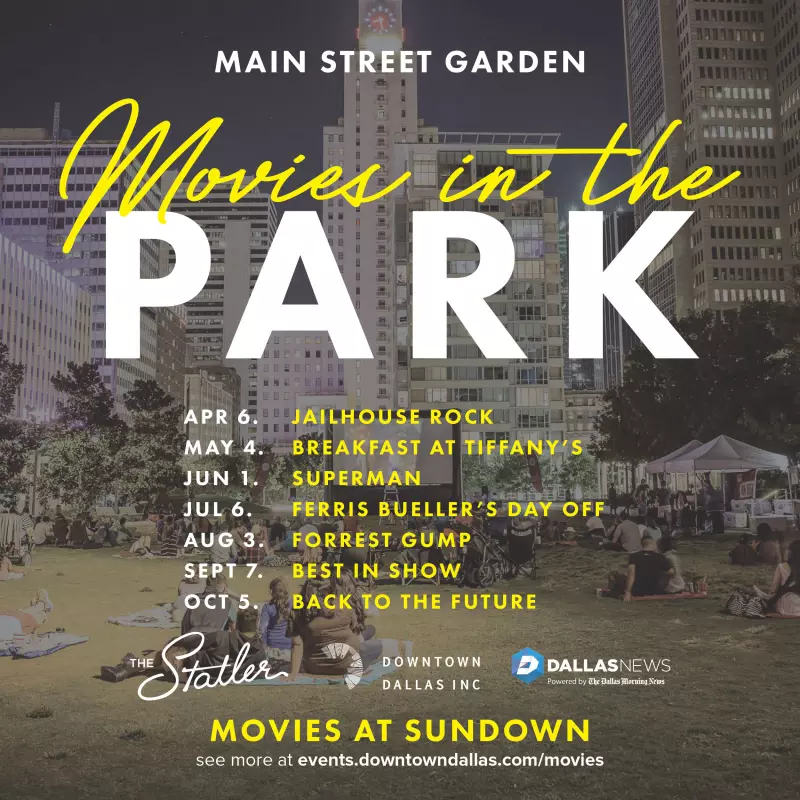 In honor of The Statler’s reawakening, we invite you to join us for Movies in the Park at Main Street Garden. Beginning in the 50s, we will showcase an iconic movie from each decade, making our way back to the future.